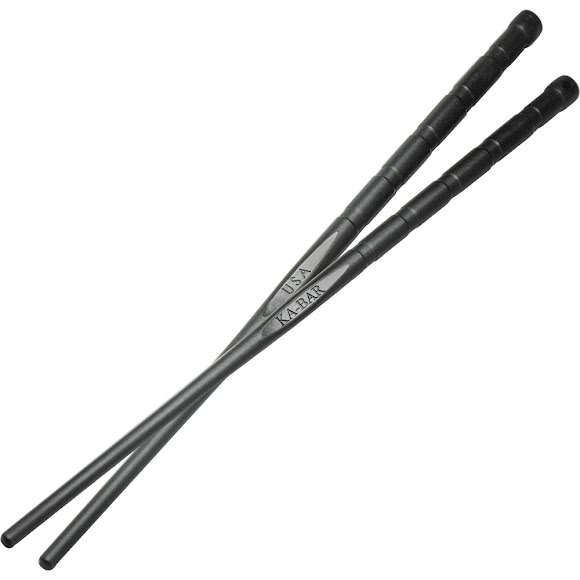 The KA-BAR® Chopsticks are sold as a four pack, providing two sets of American-made, dishwasher safe chopsticks. They are made from Food and Water Safe Grilamid® and measure 9.5" overall. The chopsticks are each marked "KA-BAR" and "USA" and weigh in at a user-friendly 0.04 lbs per chopstick. Made in the USA.